"An amazing story full of intriguing characters, both human and animal, and a biologically accurate account of bird behavior. I coulldn't put it down." 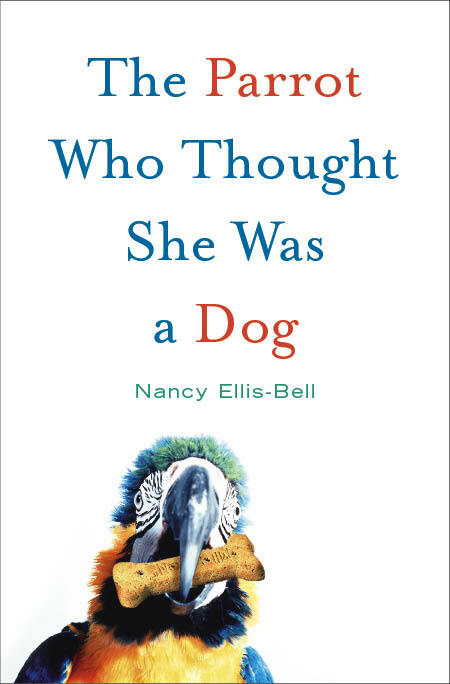 "In The Parrot Who though She Was a Dog, Nancy Ellis-Bell shares the magic of making a truly singular connection with an exotic, intellegent, sensitive, and essentiallyt wild creature. I can't wait to share this book with my clients and friends." "Nancy Ellis-Bell has manages to capture on paper the trials and absolute splendor tht so many go through when finding themselves being 'owned' by a feathered companion and shows how the experience can lead to a life of uncondtional love and respect for these magnificent creatures." - Daniel Kopulos, Veternairy technician and owner of Uptown Birds, New York City. "Ellis-Bell shows just how a macaw can steal your heart - and rule your life! Enjoy a glimpse of living with these wonderful birds." "Sarah is a delightfully mischevious creature the reader grows to love as Ellis-Bell did"